i like the color but that's where it stops. i take that back,that yellow needs more red for my liking..
it was for sale on lowell street in peabody last summer. 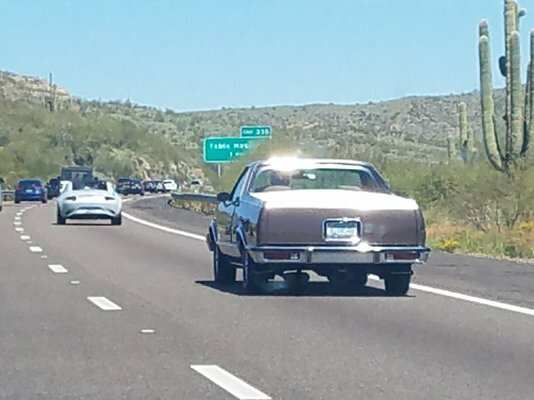 Saw this elco heading north out of phoenix are last saturday. 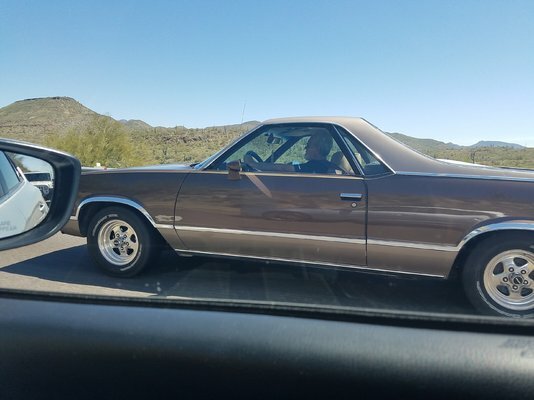 yea, i noticed that also, but didn't care, at least he's driving it. This guy has been running around my neighborhood the past couple months. It doesn't look bad, needs a little metal repair, but cool looking hood and T tops. It's def a sbc that sounds alright with flowmasters just like most around. Can't wait to get the Cutty done and give him a run!